If you’re going to put the word excellent in the name of your restaurant, you’d better be able to back that up. Even if you’re serving pretty good food, that’s not excellent, is it? 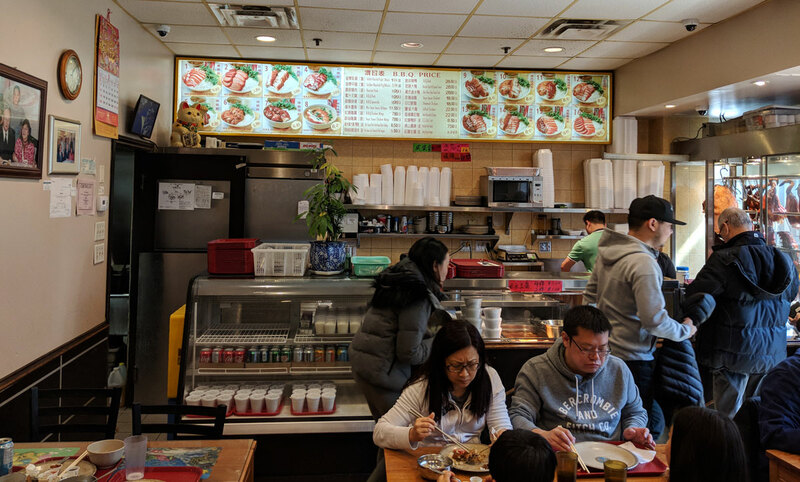 Well, Excellent BBQ Restaurant in the Richlane Mall in Richmond Hill definitely lives up to its name: it is indeed excellent. There’s something really satisfying about the simplicity of Chinese-style BBQ like this. It’s beyond simple — it’s basically just whole pieces of meat and rice — but when it’s done well, it’s delicious and comforting in a way that few dishes can match. 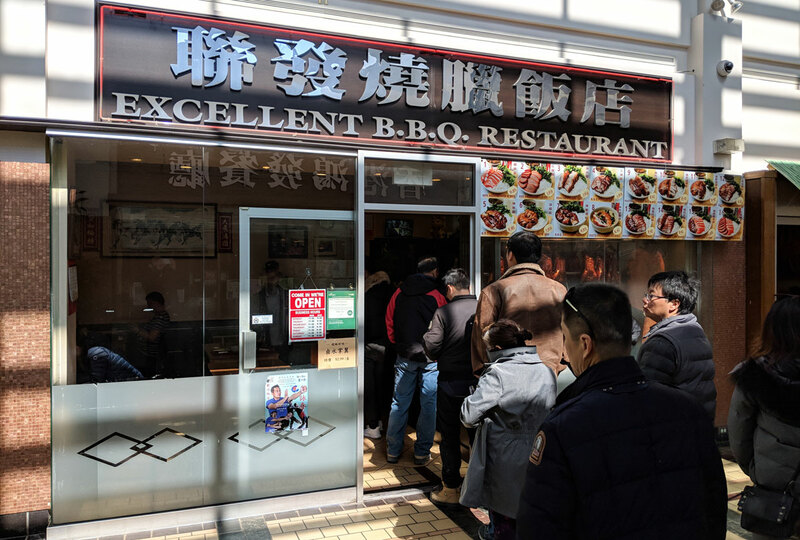 Excellent BBQ Restaurant does it quite well, which is evident as soon as you get there: when I visited, there was a line going out the door, and it remained that way for the whole time I was there. When you’re serving food this good, word gets around. We tried a few different things. 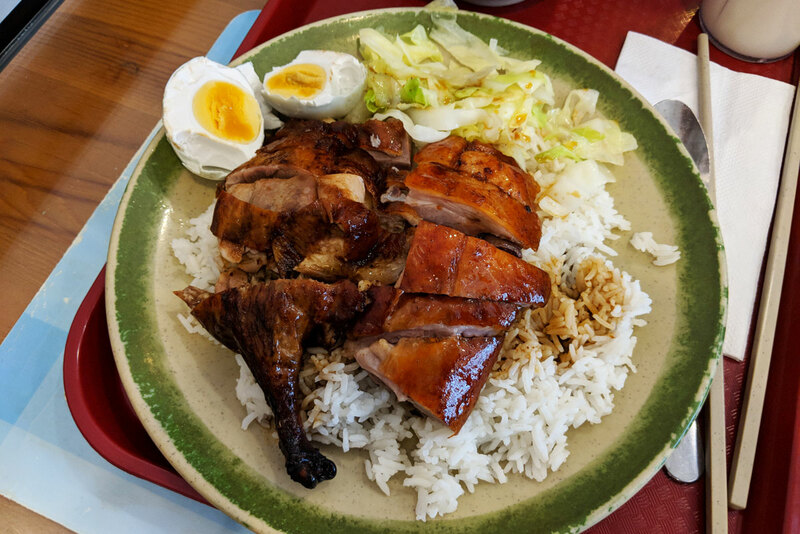 BBQ duck. Everything was really good. In particular, the duck was fatty, tender, and perfect. The skin could have been a bit crispier, but that’s a fairly minor complaint. 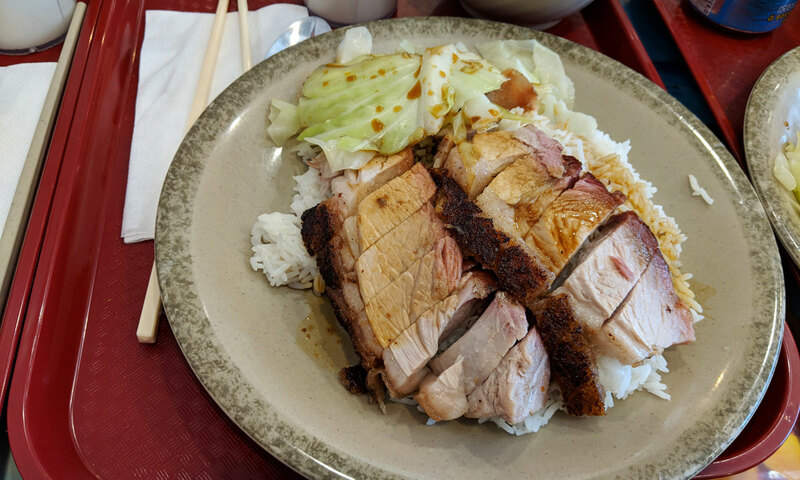 Both types of pork were just as good — there wasn’t a whole lot of crispy skin on the roast pork, but what was there was shatteringly crisp and amazing. 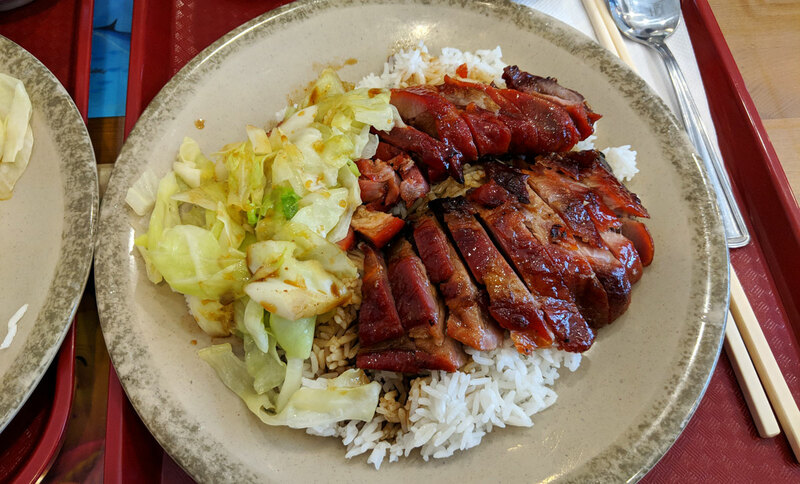 The BBQ pork was slightly dry, but again: that’s a minor complaint.